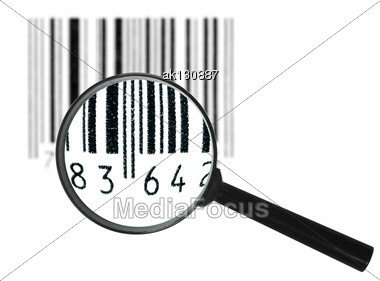 Royalty-Free Stock Photo: Preview Of-focus Black Grunge Bar-code Symbol Through Magnifier Lens. Art Design. Find similar images with "preview of-focus black grunge"